The principal problem facing the Combined Army is its diversity. To reduce supply and management problems, the armed forces of the different races that comprise the Combined Army have similar basic equipment. But the medical services can’t handle their problems so easily. A field hospital can’t be separated into sections according to race because it would require too many personnel and would be unoperational. The maintenance of the equipment and machinery of the Combined Army presents the same level of complexity as the sanitary assistance. To resolve these problems, the Ur Rationalists developed the Med-Tech line, bio-artificial intelligent units, adapted to the medical necessities and the technical maintenance of the Combined Army. 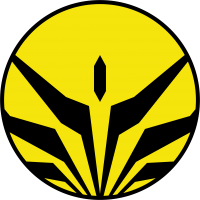 The Med-Tech are bio-cybernetic units, that have a rapid-access library, stocked with medical-sanitary programmes for each race (the human included), and also complex technical programmes for electronic engineering and military use. A Nano-forge is installed on the back of the unit so that it can create the nanobots needed to heal a member that has fallen in battle. The Nano-forge also gives the Med-Tech the option to reconfigure the tools and handling equipment, to nano-adapt them to the necessities of the moment. The current version is the tactical evolution of the series: faster, more shielded and armed that its predecessors. 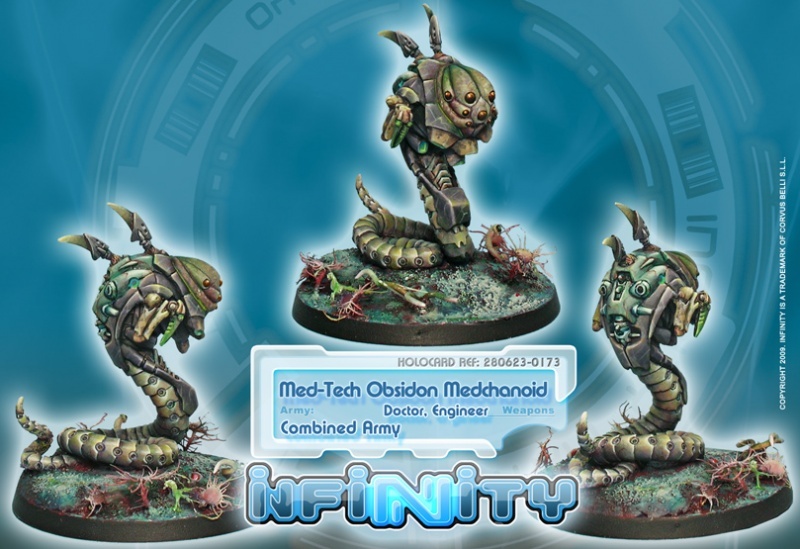 The Óbsidon Medchanoid has been designed and adapted exclusively to operate under the toughest frontline combat conditions.